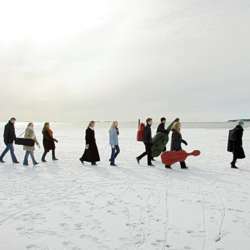 You must be a member of the Helsinki Classical Music & Jazz Group to attend this activity. Would you like to join this group? Book your calendars and get your tickets! This is a real opportunity for listening to the great music and excellent performance! Johann Sebastian Bach’s Easter Passion marks the pinnacle of Baroque music. Over the centuries the choir singing, arias and orchestral music of the St. Matthew Passion have transported listeners to the endless miraculous world of the great composer. I will wait for you Protected content . The concert starts at 19:00 and it lasts 3 hours. We can stop by for a drink and chit-chat afterwards.